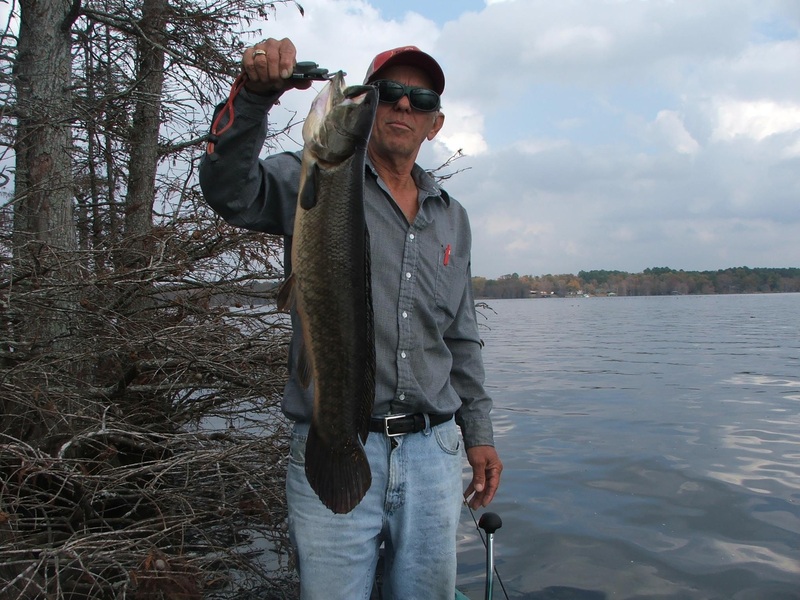 Most of the fish in Cross Lake are Bass, Crappie, Catfish and Pan-fish. PLEASE HELP US BUILD THE COMMUNITY FOR PEOPLE WHO FISH ON CROSS LAKE. PLEASE CONTINUE TO ADD YOUR GREAT COMMENTS!!!!! I saw several Gars off the dock tonight, one of them was at least 2 feet long. Wow. I caught several catfish this morning at around 7:00am by Melvins Marina. Nice size. this would be pretty cool if it was more widely publicized . Hi Mike, please feel free to write anything that you’d like here about fishing on Cross Lake. Do I need a special Tag for my boat to fish Cross Lake and where and how much are they? Yes- anything goes – bow fishing or with a 50 cal – the fish need to go, come get em. yes i was wondering, how would a person find out when they have the water intake on. pumping water into the lake from 12 mile bayou. the reason when it is on a person can throw a cast net and catch shad for bait. off no bait. no bait drit fishing bad. I am getting back into fishing fresh water around of the Shreveport area; are there any reports on the white bass fishing from Cross lake?? Is the fishing better on Caddo Lake or Cross Lake? Is there a slot limit for catfish on crosslake? Does anyone know a good place to fish off the bank for catfish ? Me & my father-in-law have been going to the public launch but having no luck. My father-in-law is on oxygen, so he can’t walk too far so that presents a problem. Any suggestions would be greatly appreciated !! That’s one fat cat dude! i am looking for a place to bring my dad cat fishing off the bank. He has back cancer and can still get around pretty good but we have to go in the evenings because he cant be in the sun do to his meds. Jim if you have found anwhere or someone suggested you a a location please let me know. Here is a good pic of a bass caught on the west end of the lake https://crosslakeshreveport.com/2012/07/09/bass-fishing-on-cross-lake/. I caught a two pound Northern Corneyed Brown Trout in Cross Lake. Delicious! I have always had luck with a super fluke at the southwest end of cross lake but recently the bass aren’t biteing it. The water temp is 88 degrees but the vegetation in this area has changed from years past. Any advice will be appreciated. Hey guys im new to the area. Im from Virginia and I’m used to ocean fishing not lake fishing I would really appreciate it if you guys can give good tips and areas to got to. Which bridge did you fish? The perch have been running a little bit different pattern this year but they still are big on wood. 7 Catfish (and one turtle!) caught on Cross Lake yesterday. North side near Squirrel Point. Catfish were especially active after 5:30 pm. We saw quite a few big bass and one gar off the dock at dusk. I know it’s a late response, but there is a public landing off of lakeshore drive. Look on the map for Ford Park and you will be in the proximity of the landing. – You can also fish from the bank in Ford Park during daylight hours. Gosh we caught a catfish Monday evening on Cross Lake must have been around 40-50 pounds!! Talking about getting excited;))) Boy friend did good!!! My Brad!! It’s been slow going off the bank and piers. Fishing is good in Cotton’s & Clark’s Pocket right now. Would really like to have a good time crappie fishing on cross, but have so far been disappointed. I have bass fished and done rather well, and catfish are plenty, but I have heard that Cross is great for crappie too. Can someone tell me what to do? I have tried jigs on bobber at different length and different colors around piers and trees, and I tried shiners on bobber and on bottom in the same places. What color should I use? How deep? Where? When? What kind of action? Any and all help will be greatly appreciated. Unfortunately the Crappie this year this year and last year have been off. The temperature isn’t helping..going up and down. Also the fight with the salvinea throughout the summer, seems to affect the crappie season later in the year. They are slow starting this year, we hope when the weather calms down in the next few weeks and they pick up again. hey i was woundering were i can go to fish on cross lake? i have no boat and is bank bound. i would love to know where i could go to catch catfish? also when is the best time of the year for cat on cross? also are they bighting right now? most people call cross lake “The Dead Sea” and think there is no bass in it. I have personally caught 7 over 6 pounds out there but haven’t broke the 7 lb mark. my dad caught a 7.5 last year and between my dad, our buddy, and I we caught 17 over 6 and 3 over 7 just last year. And this year I’ve been busy with tournament trails and have only fished cross twice but have managed 4 over 5 and two over 6 in two trips. My advice would be to throw a V&M wildthang in candybug, blue flex or red bug depending on water clarity. And if they don’t seem too active try a v&m baby swamp hog in the color bamabug. And if the trees and a Texas rig won’t produce fish a v&m bullfrog around pads, grass points, and where trees and grass come together seem to holding points in the late evening. if the topwater action is slow a v&m porkshad work across the top of the water around trees and pads also seems to catch me some good ole largemouth. Good fishing, hope this helps!! certainly cheaper than getting a flight to St Moritz. A stylish and luxurious London tanning salon will add a new dimension to the spray tan experience. one factor, the names could have caused the clinics. which may peel off and leave your face blemished after the tan has dried up. people on how much their renovations cost. Hi Dear, are you genuinely visiting this web page on a regular basis, if so afterward you will definitely obtain fastidious know-how. I moved to La. From Texas, I now live near cross lake, So far it has been a tough lake to fish, I have fished from one end of the lake to the other end for white perch catch a few but that is all just a few. Other anglers fishing when I talk too them they are doing no better. I guess I will have to find another lake to try and see if I can do better. I feel that is among the most vital information for me. And i am satisfied reading your article. Going to try some winter catfishing on Monday or Tuesday. Let yall know how it goes. Love the info on this site!!!! My name is Steve. 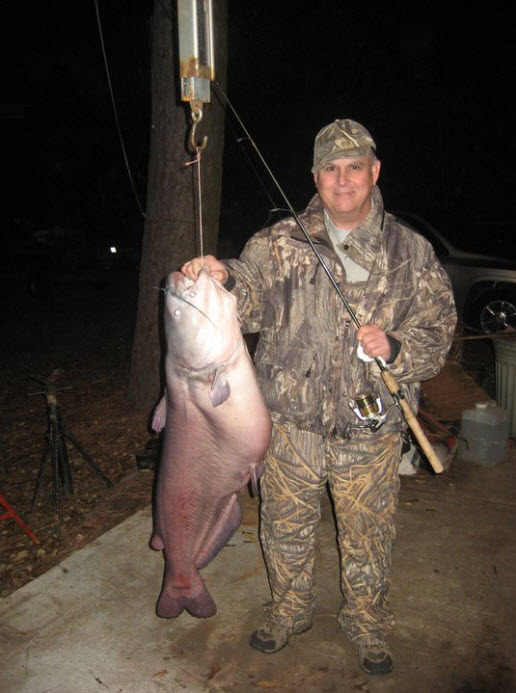 My wife and I are planning a trip to Shreveport in February, we would like to know a good spot to fish off bank for catfish. Or if you would like some company, we love to go drifting. Lol. Please let me know how the fishing is. Just came across this site. I’ll post a link on our Barron’s Landing facebook page. We are still waiting on the Crappie to start biting. Good reports on the Yellow Bass. Tournament brought on groups of smaller Large Mouth last Saturday. Largest weigh in was 5 fish at 17lbs. Like our page https://www.facebook.com/pages/Barrons-Landing-Marina/117880031572264 and Ill spread the word on this one 🙂 HAVE A GREAT FISHING DAY! Some well-liked feed readers include Amphetadesk (Home windows, Linux, Mac), FeedReader (Windows), and NewsGator (Home windows – integrates with Outlook). I fished Cross Lake on Sunday morning July 18th from 4:00 am til 8:00 am on the south side of the lake. Caught one bass on a jig and one bar on a black spinnerbaits. Temps are steadily high right now. Bass fishing is pretty tough. Any suggestions on what Bass are biting on about now? I see them jumping all around my property but have no interest in what I’m throwing them. Have you had any luck with the bass? Would like to start fishing cross but have never fished it. Thanks for any input on it. Caught five bass right between the piers at the American legion on the 5th. Used the zoom C tail worm black/red glitter. Dragged it across the bottom. Also caught a bunch of blue Gill with worms in the same general area. There are no bass DUE TO TH E AH coming here from outta town on bass tournaments ! After these so called catch and release tournaments I find huge bass belly up! Yeah tournaments! Ah! Been catching them on zoom C tail worms. Black/Red glitter. Dragged across the bottom. Put it on a circle hook with a bullet weight. Caught 4 this morning on Zoom Fluke Swim bait. 6/27 – No luck. Threw soft plastic, crank bait and buzz bait. Shallow and deep. 6/30 – Caught one on crank bait in 3′ of water. 7/2 – No luck. threw soft plastic, crank bait and buzz bait. Shallow and deep. 7/3 – My son came along. No luck. Threw rattle traps, soft plastic, buzz bait. Shallow and deep. Maybe you need schooled about self exspression? Is that guy in the top photos name Ricky? And I’m glad to hear so many people are catching fish here in crosslake. However I haven’t yet had so much as a tiny nebble. I’ve come to the conclusion there aren’t any fish in crosslake . Maybe I’m spoiled to the awesome fish I’ve caught and can catch at caddo lake. Crosslake is in my opinion a recreational lake, as in sailing tubbing , swimming. But as far as fishing, 🤔 Uh, nope. I live right on the lake on the north side I walk out to my pier and I fish and fish and all I’ve ever got was aggravated and limbs. I don’t want to pee on YALLS parade , I’m just being honest and trying to save y’all some time. Try Flemings park under bridge. Catching some white perch on jigs. Nice way to get a ” please donate money” and not be called spam. Why would I go to the boat ramp to fish? I live on cross lake I walk outside if I want to fish. And as far as my donation goes, I’d be happy to donate when they stop having fishing tournaments EVERY THURSDAY! I’d like to have a few fish in the lake FOR THE PEOPLE THAT LIVE HERE AND NOT SOME PEOPLE FROM WHERE EVER ! At one of the EVERY THURSDAY TOURNAMENTS! It really pees me off! Well I’m surly not a BUDDY! And how do u know? like the duck hunters that sat in front of my home shooting ducks and let them fall! NOT ONE ARE RETRIEVED! I’m disgusted by this crap! And I don’t care if the fish are caught and released! They come here by droves polliting the lake I live on! Sorry I’m not as sweet as you are, by the way,,,, where do you live? PS BUDDY ,,, just about 70% of fish caught and released die!!!!! DID U KNOW THAT?! I bet catfish are full, due to the 100s of Ducks the duck hunters kill AND NEVER LEAVE THEIR BLINDS TO RETRIEVE THEM. So around mid summer they’ll be bitting again. But as for now they’ve got plenty to eat out in the middle of the lake. I hate to sound like a ol bitter so in so, but I’m disgusted by these hunters that I see with my own eyes leave these beautiful ducks out in the lake to rot! What a shame! I’d love to have them. So sad so wasteful , why kill something you’re not going to eat? They . Kill for fun. AND IM ABOUT SICK OF LOOKING AT THEIR UGLY OLD RAGGED BLINDS THEY LITTER THE LAKE (OUR DRINKING WATER) with. isn’t there A LAW ABOUT REMOVING DUCK BLINDS? PLEASE CONTACT THE CITY OF SHREVEPORTS MAYOR AND FILE COMPLAINTS ABOUT DUCK HUNTERS BEING TOO CLOSE TO OUR HOMES AND TRY TO PUT A END TO DUCK HUNTING ON CROSS LAKE ALL TOGETHER. Thank you.